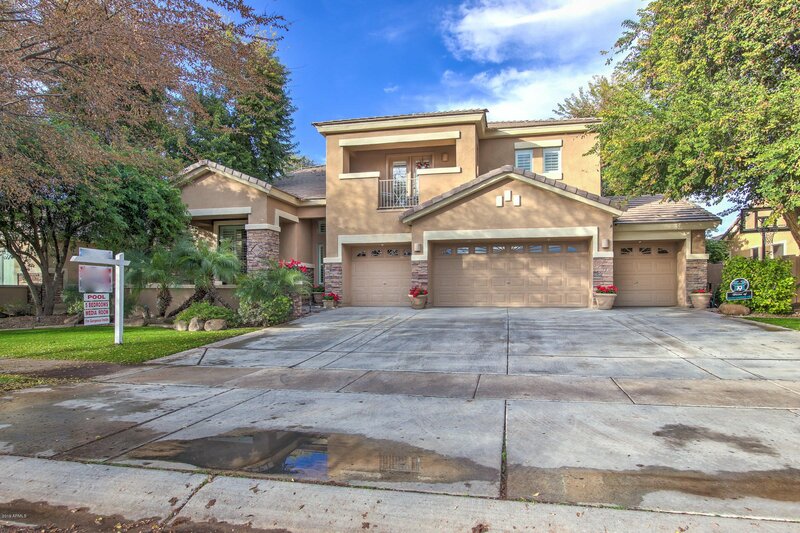 This home has been beautifully maintained and offers a large open floor plan with cathedral ceilings. 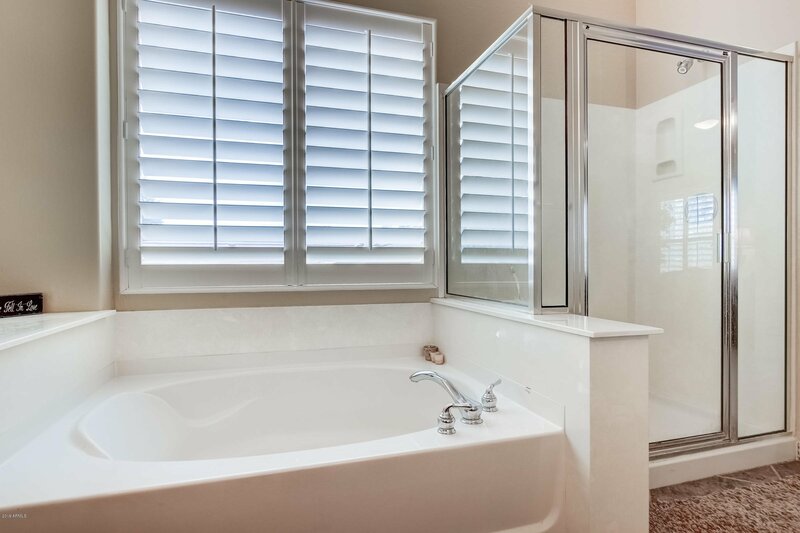 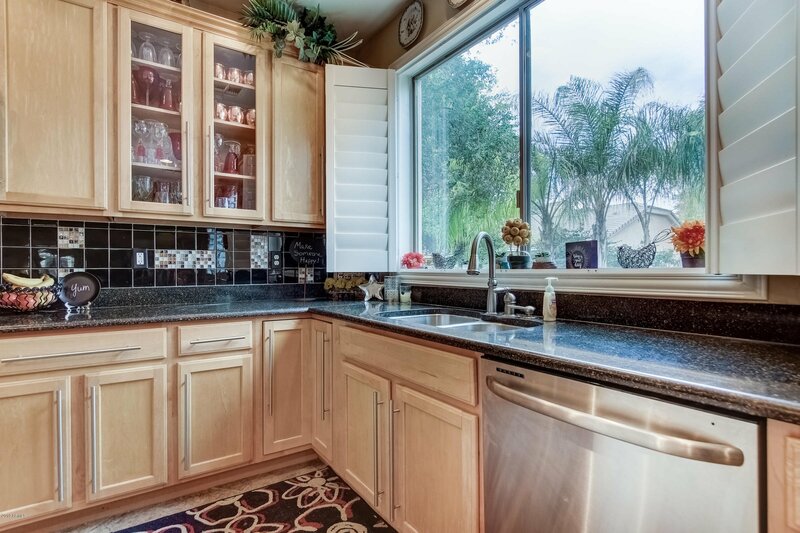 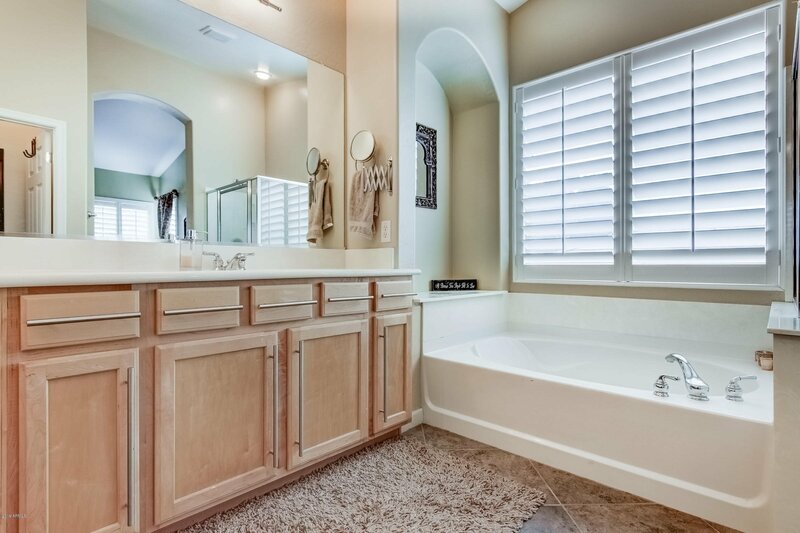 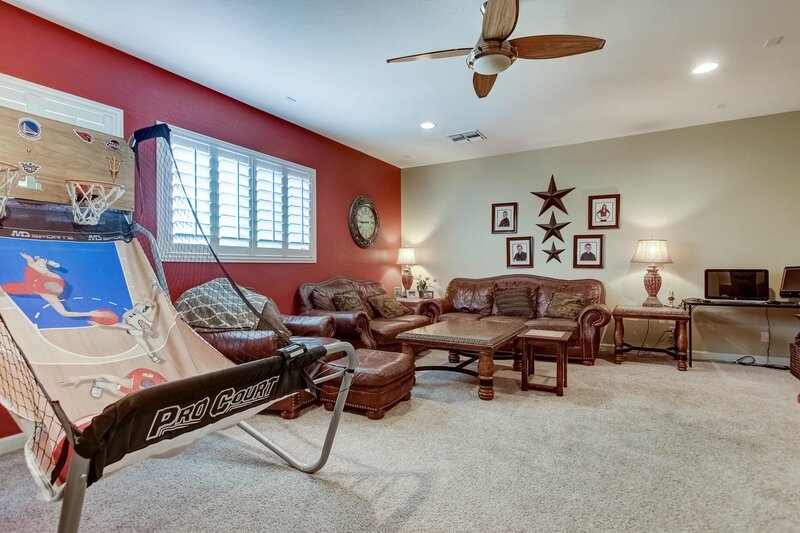 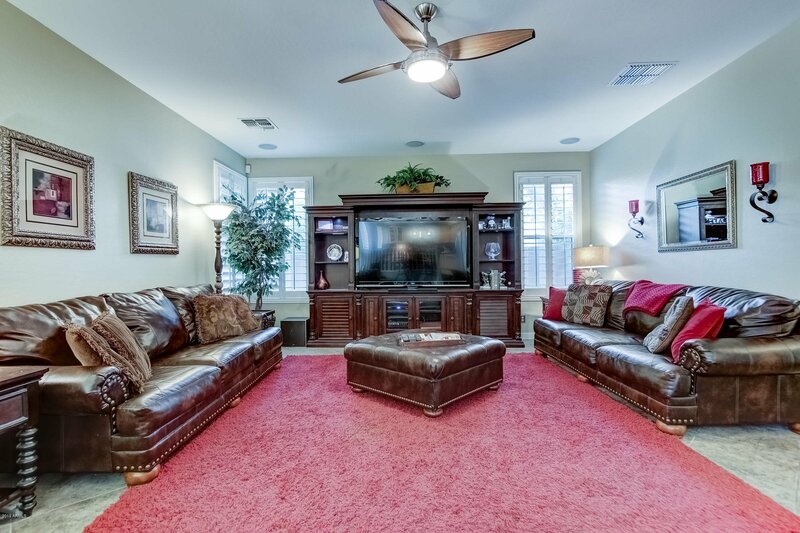 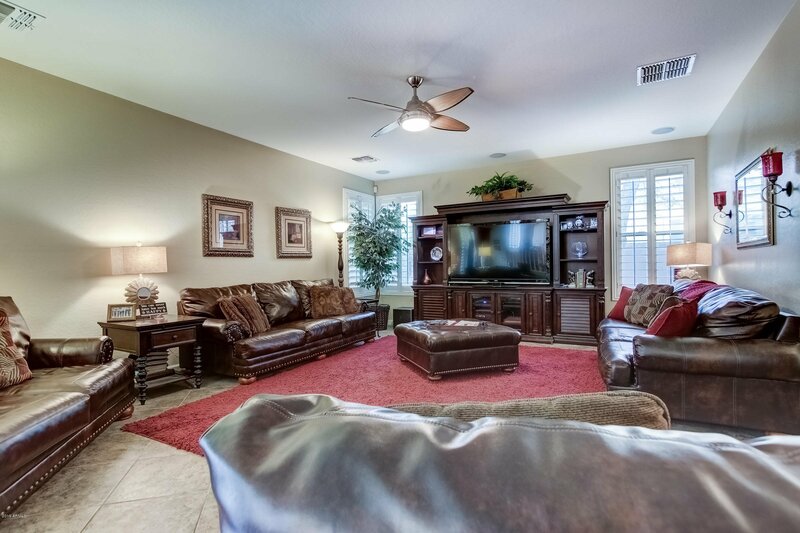 Custom paint, plantation shutters and custom ceiling fans throughout with tile flooring in all the right areas! 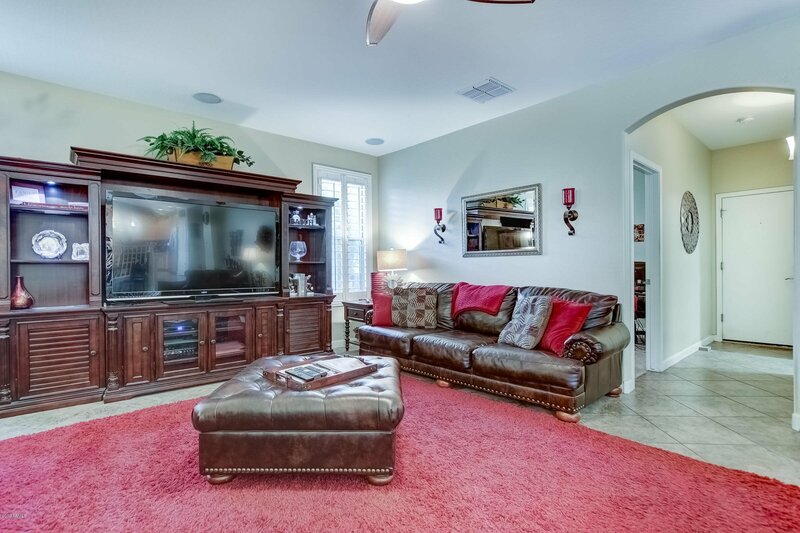 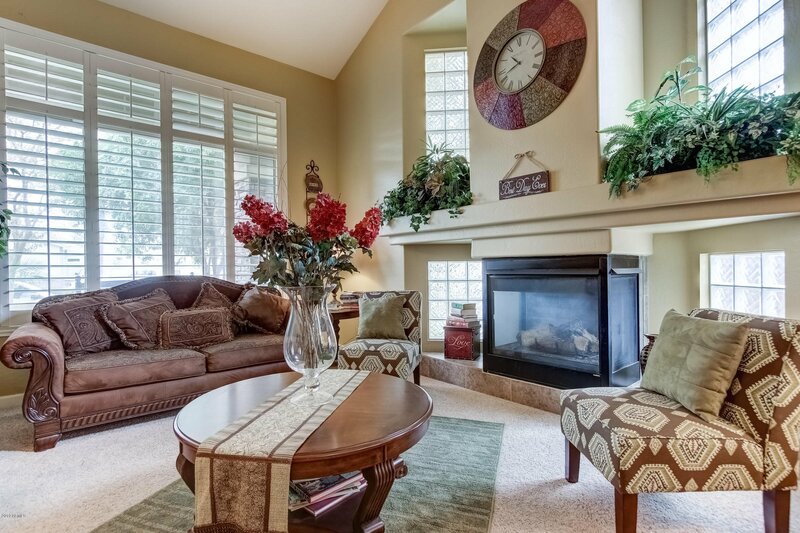 Gas fireplace in the living room.Large kitchen has a custom back splash, stainless steel appliances, and island. 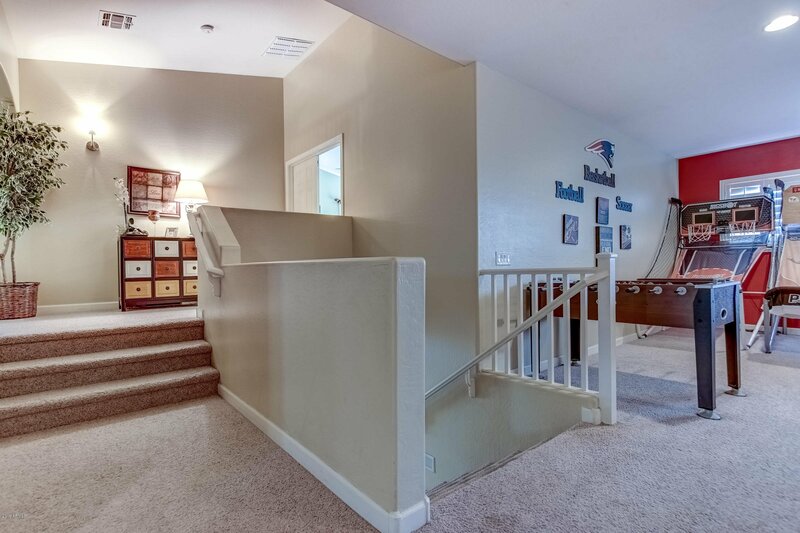 1 bedroom and bath downstairs. 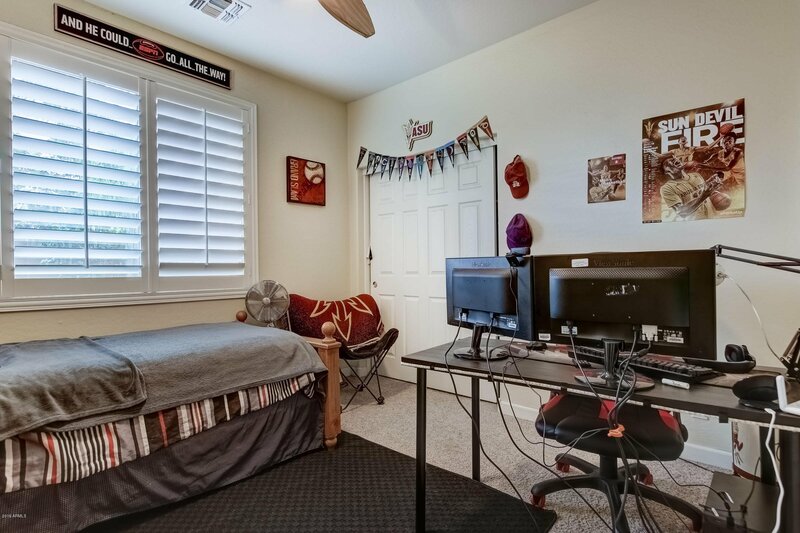 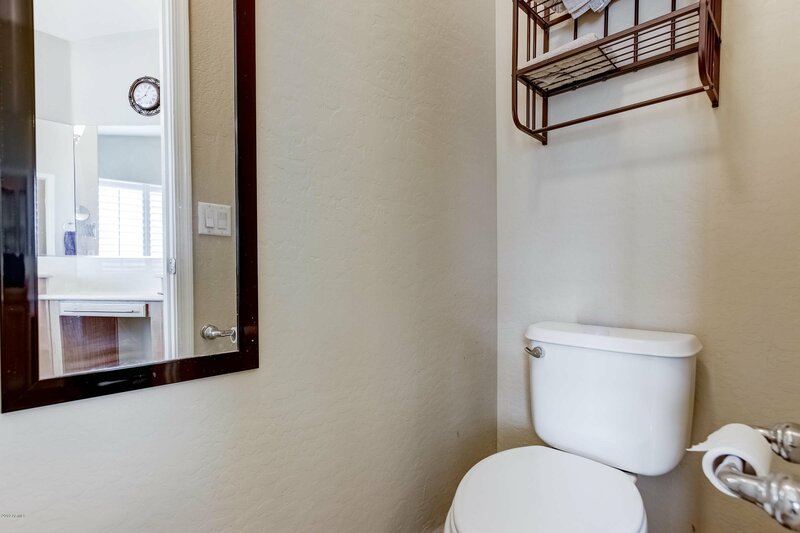 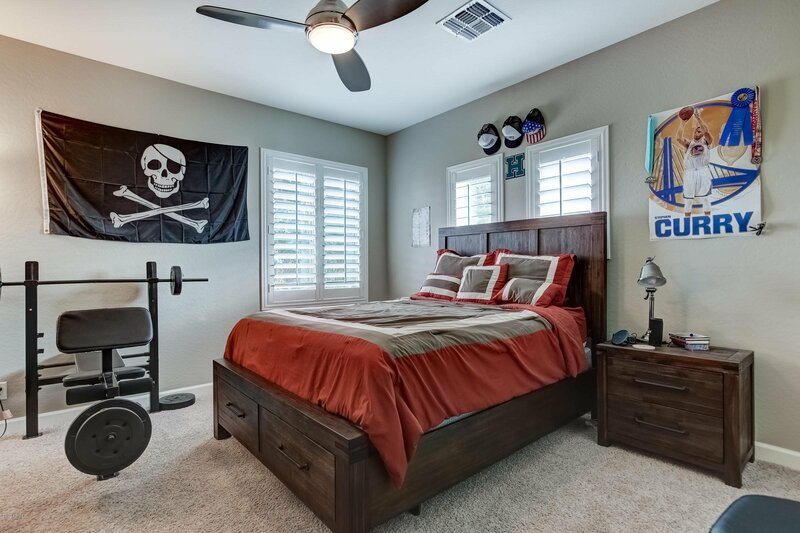 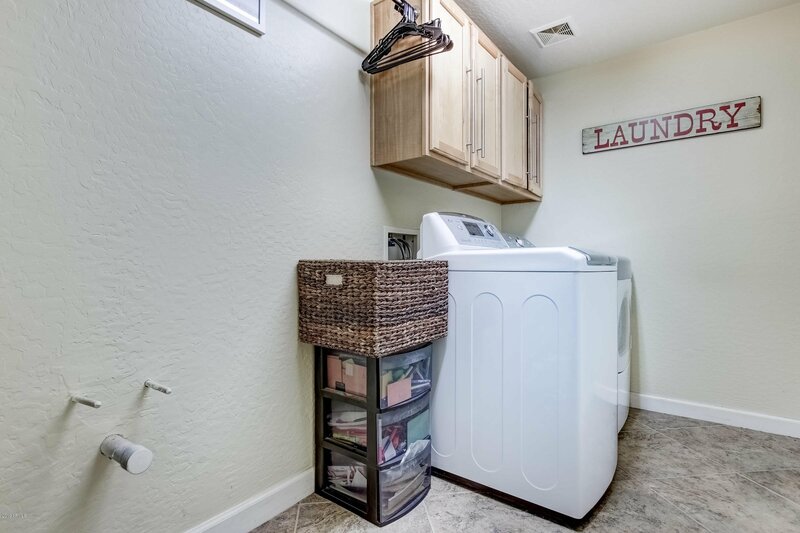 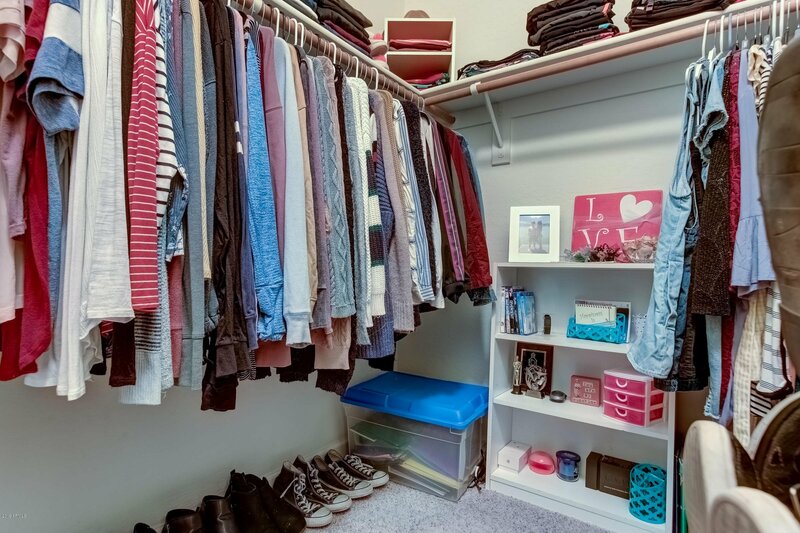 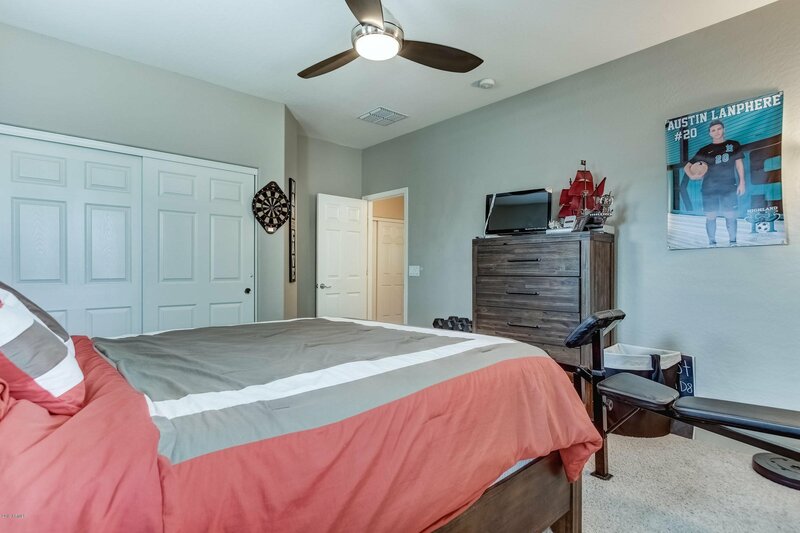 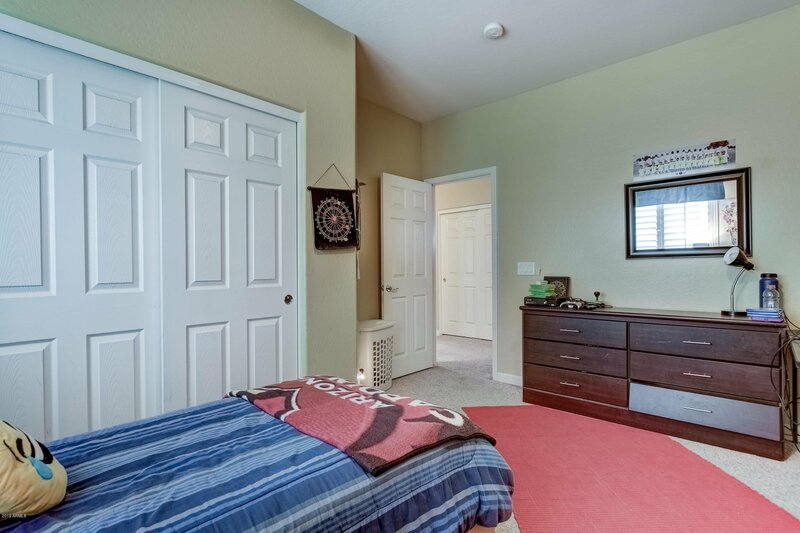 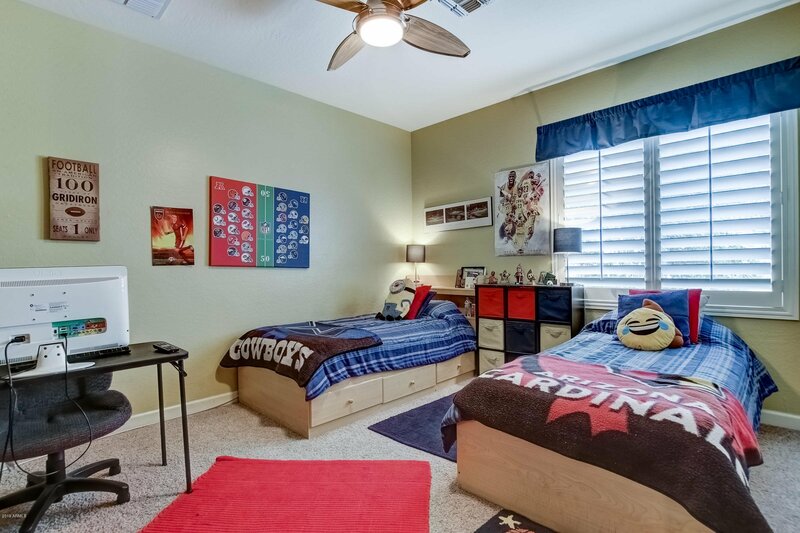 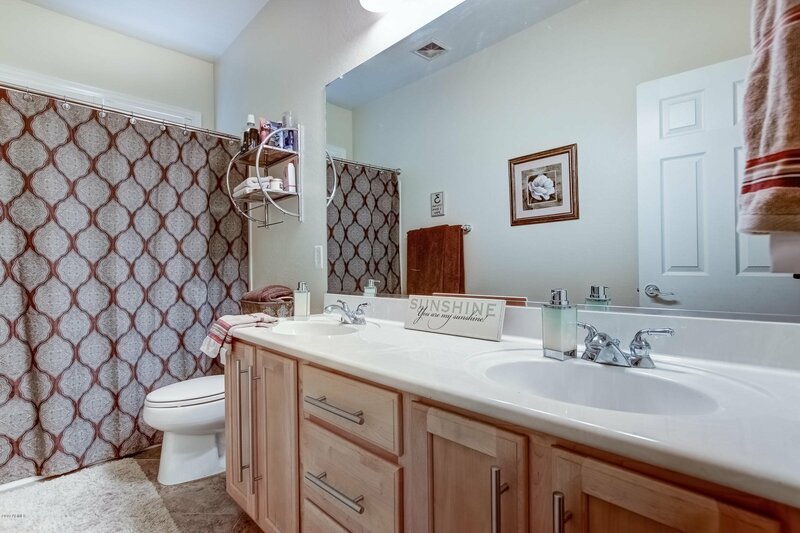 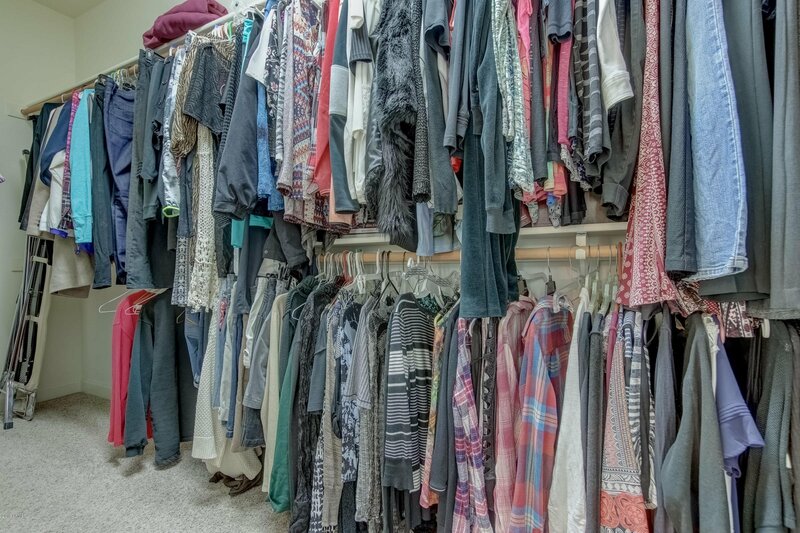 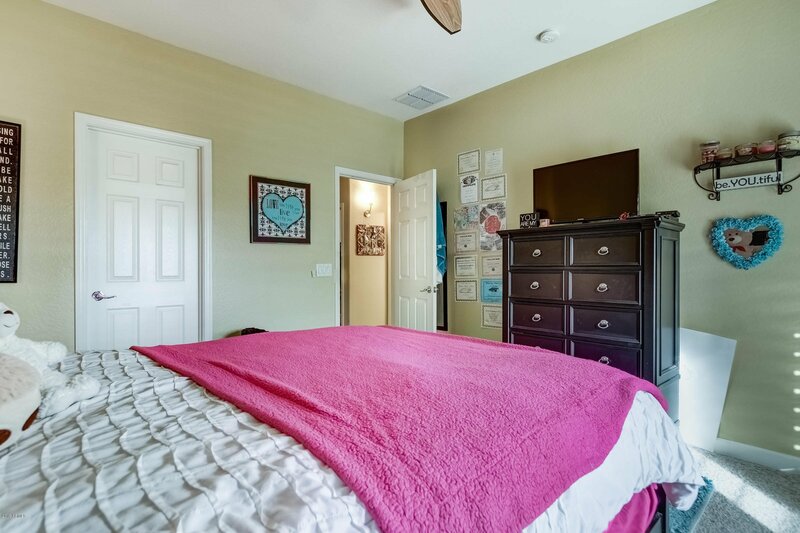 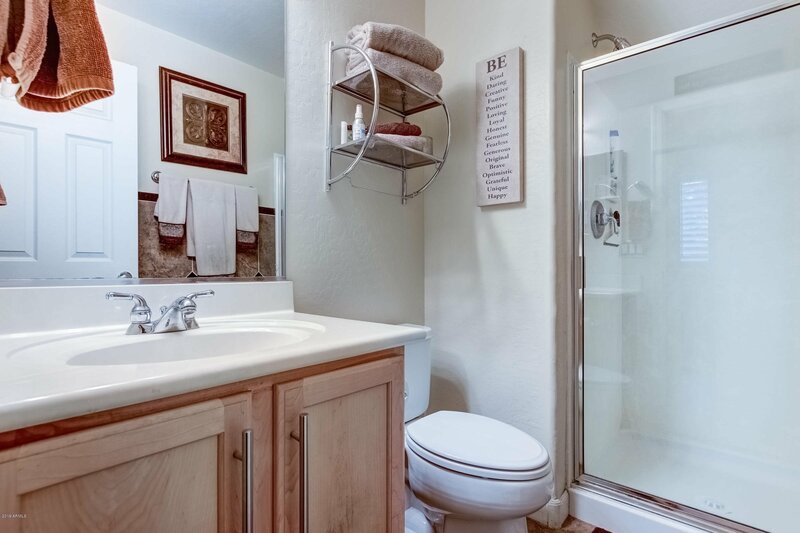 Upstairs bedroom has a private balcony with a walk-in-closet, large game /media room, master bedroom has a large walk-in-closet, master bath has a garden tub and shower with his/her vanities. 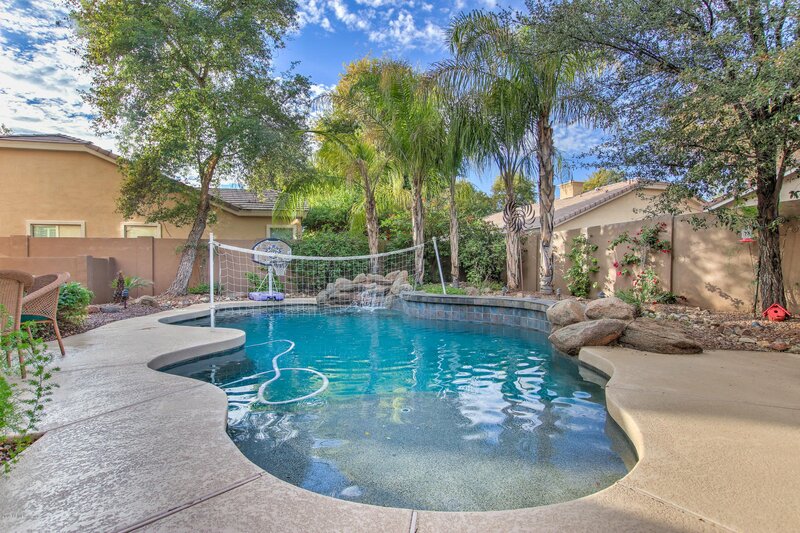 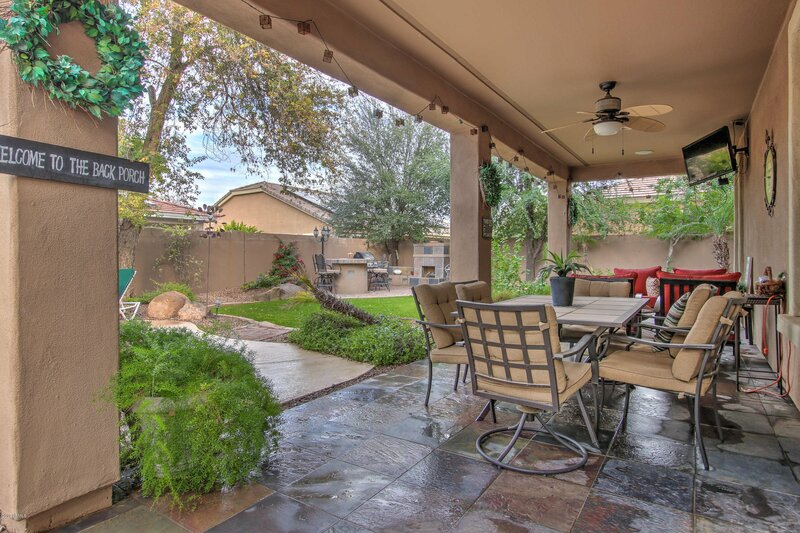 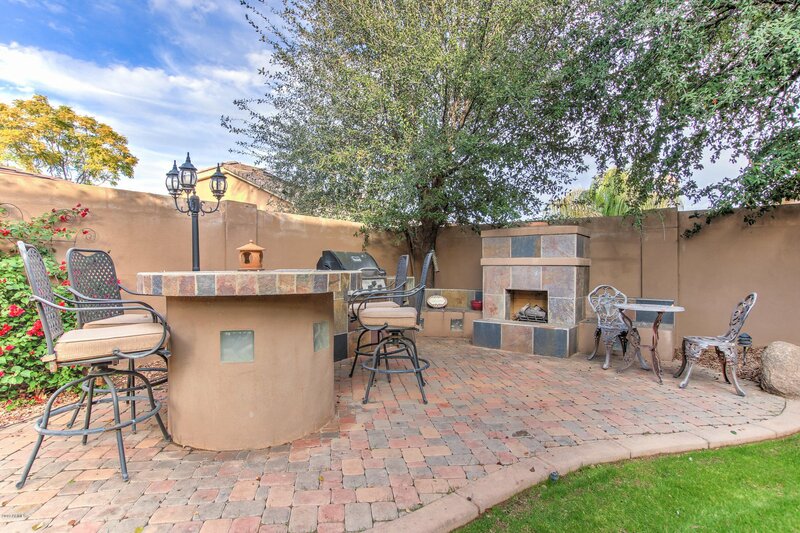 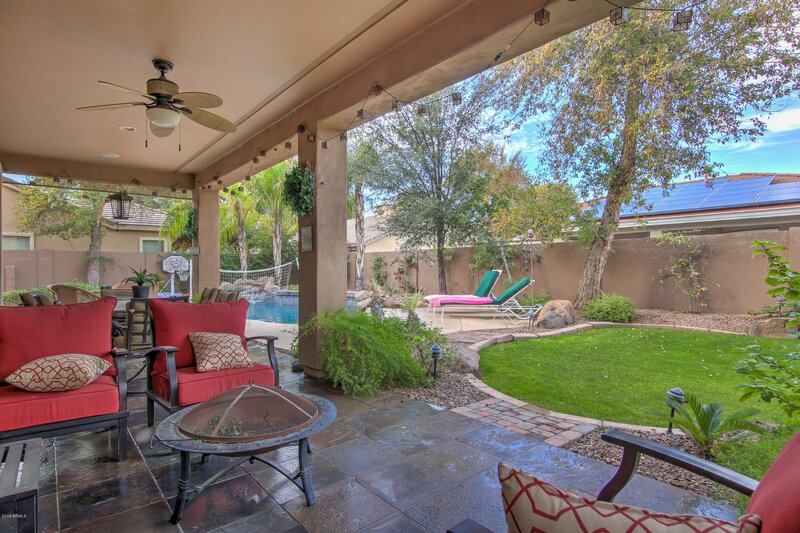 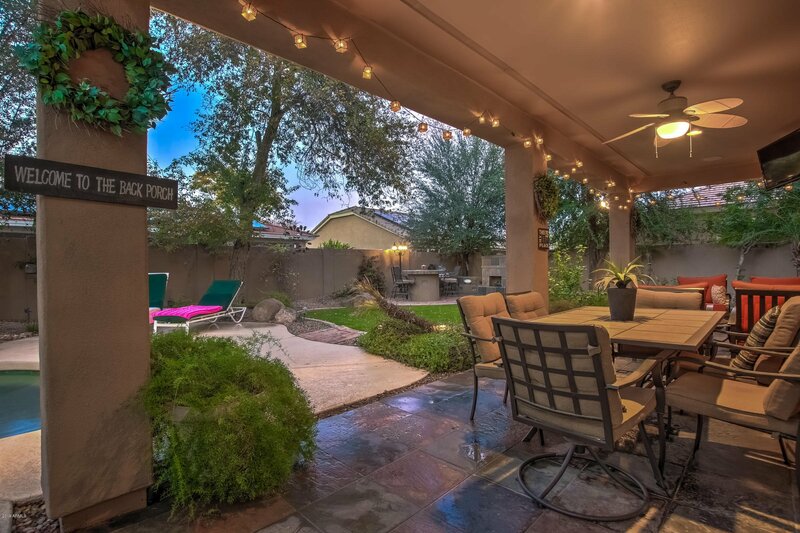 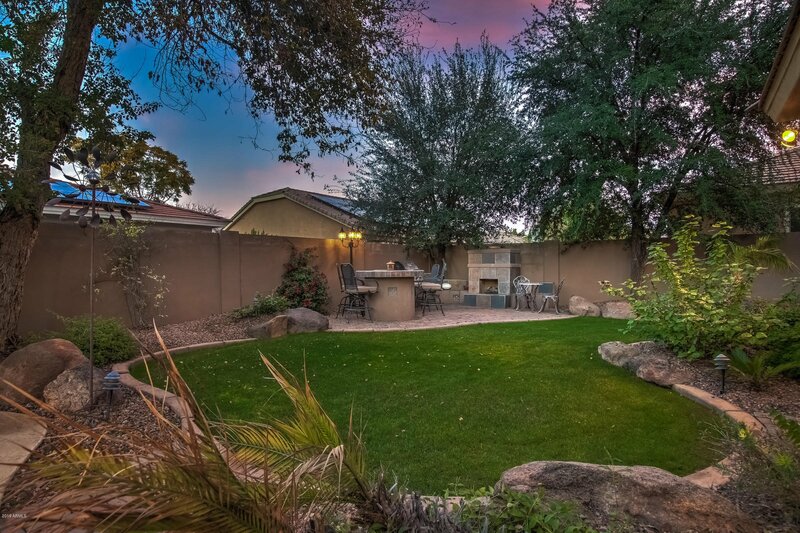 Beautiful backyard is an oasis,perfect for entertaining and features mature landscaping, a custom slate patio with built in fireplace & bar area with BBQ grill and refrigerator. 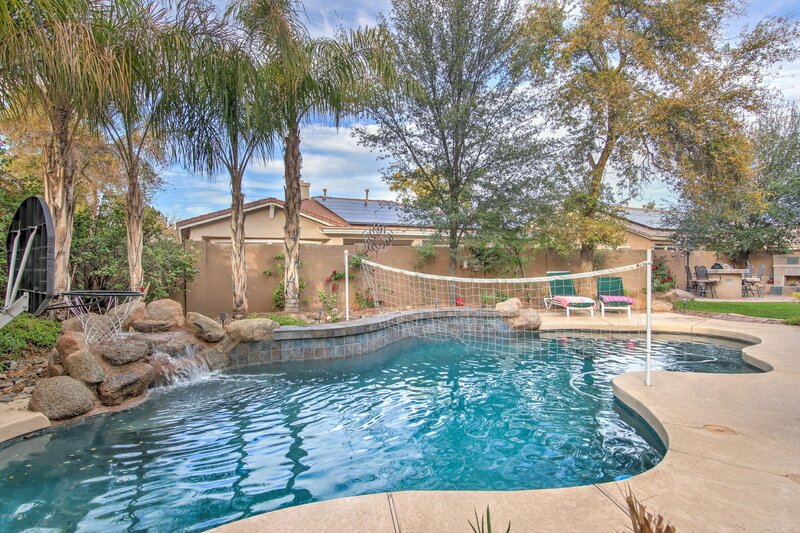 Refreshing pebble tec pool has a waterfall to enjoy. 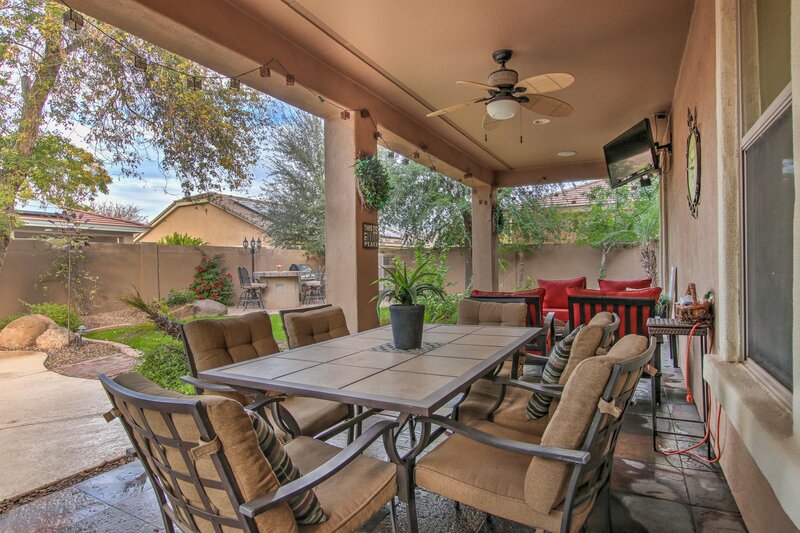 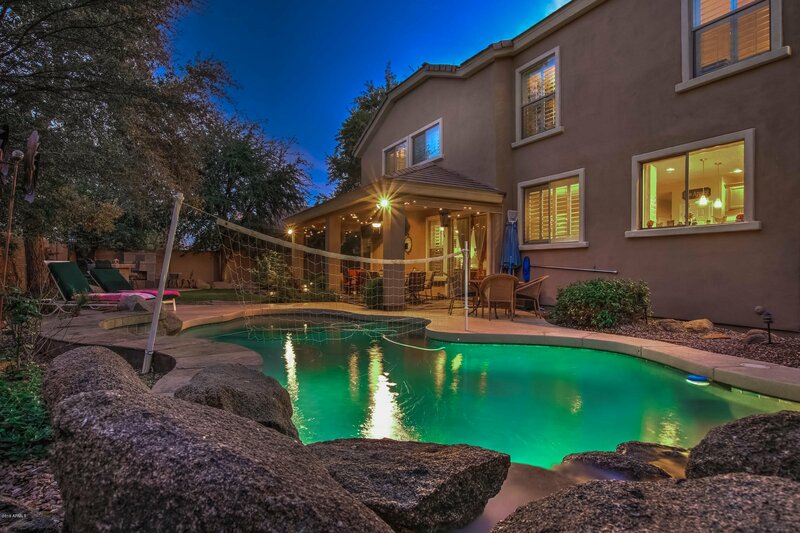 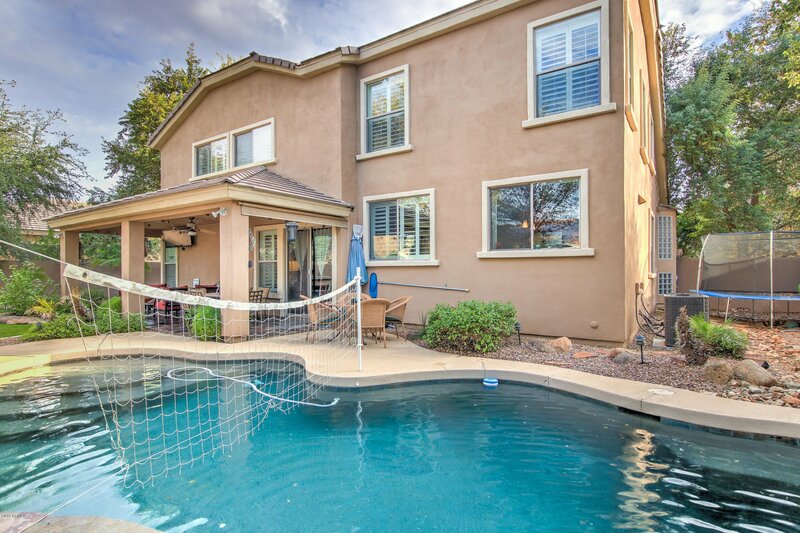 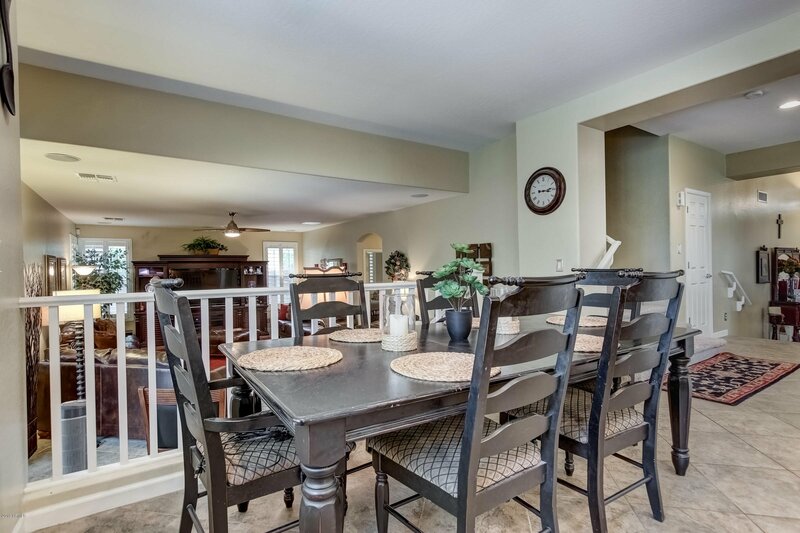 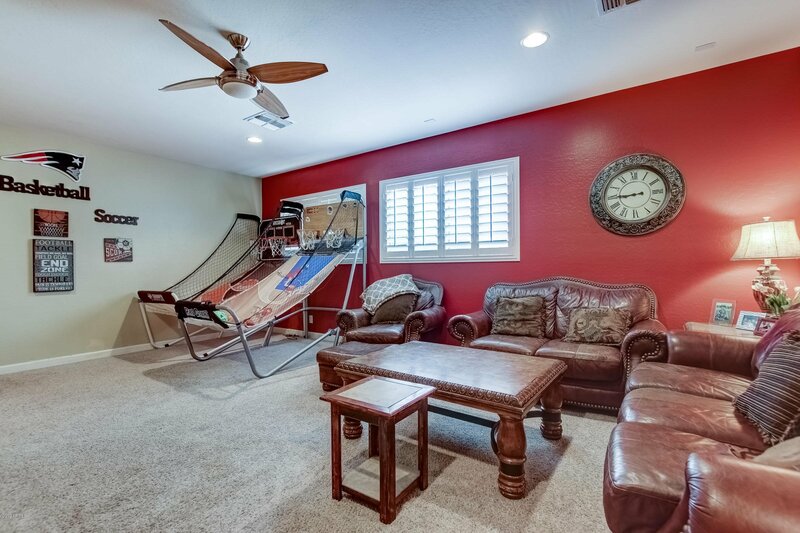 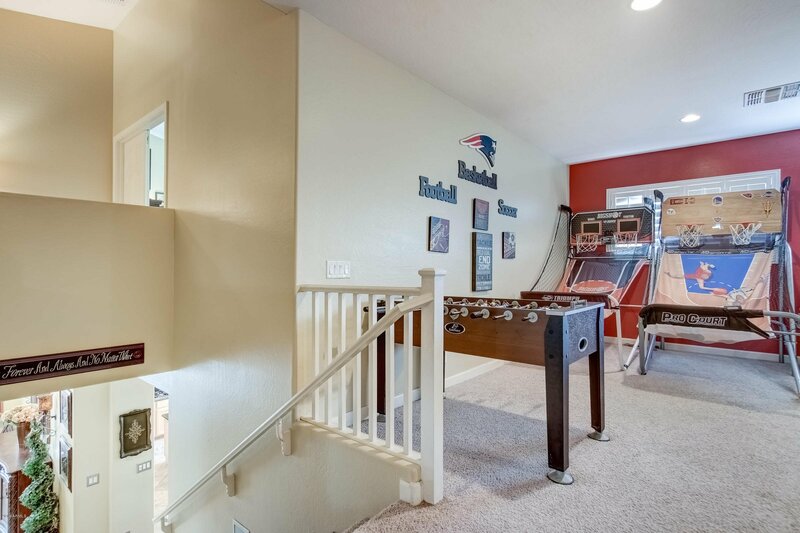 This home is perfect for entertaining inside and out! 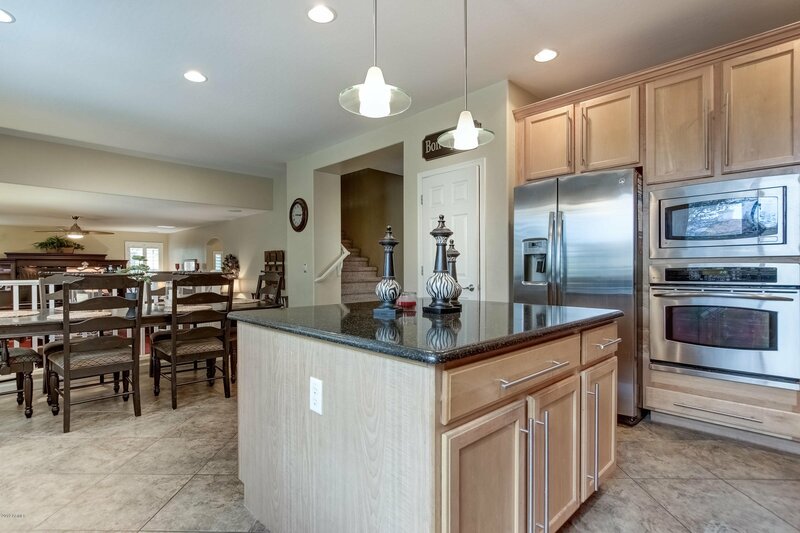 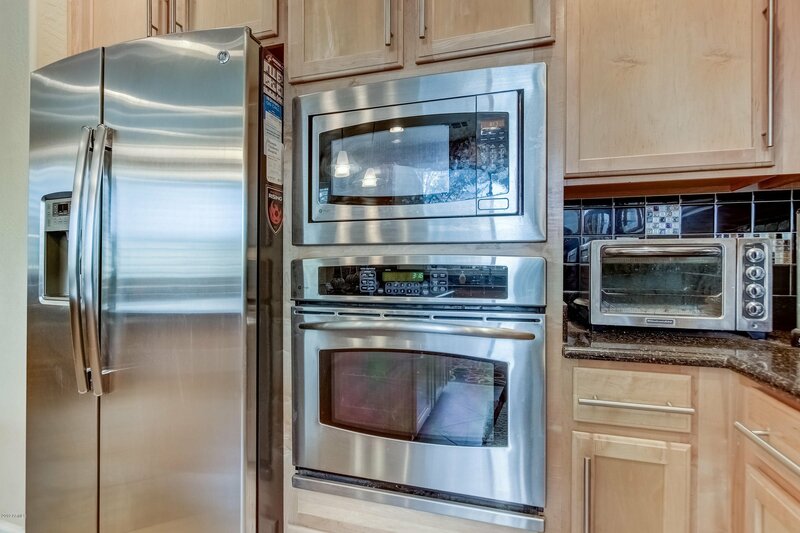 Surround sound inside and out, 42 inch cabinets in kitchen with crown mold, GE Profile appliances, RARE 4 car extended garage has built in cabinets and drawers. 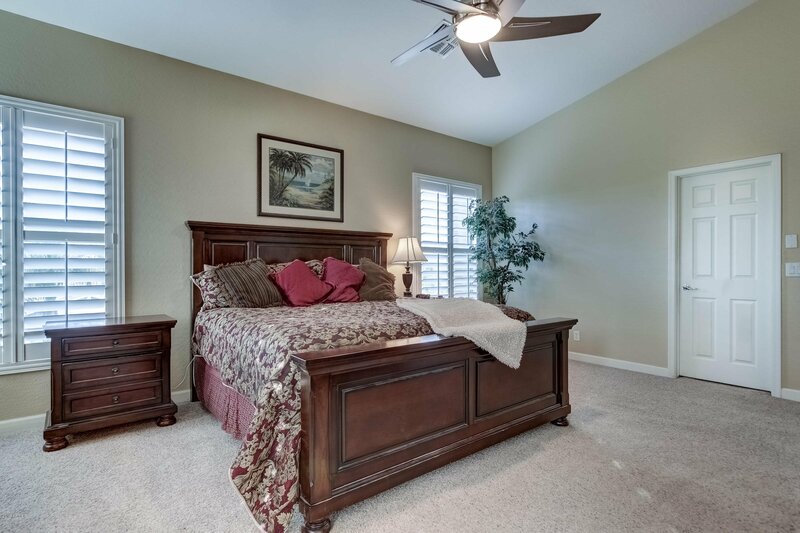 Bedrooms are a great size, oversize windows and doors throughout! 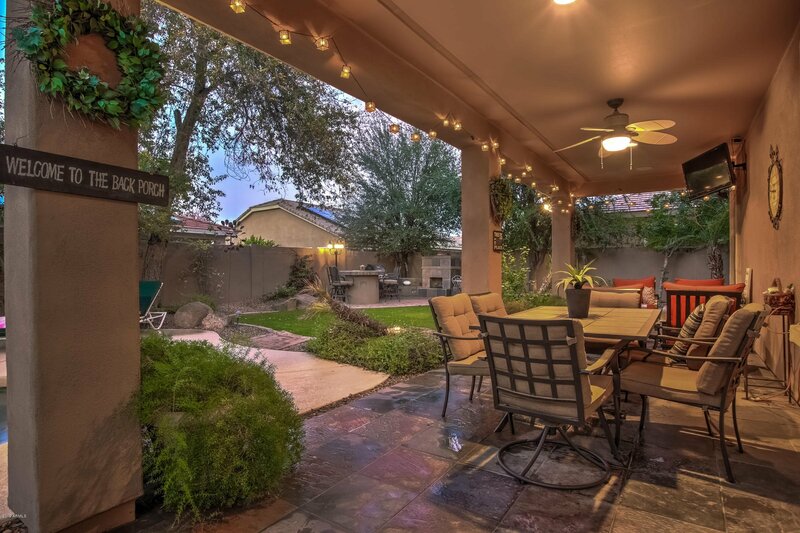 Front and Back have landscaped lighting, bright and gorgeous, this is a rare model with larger great room than others in the neighborhood. 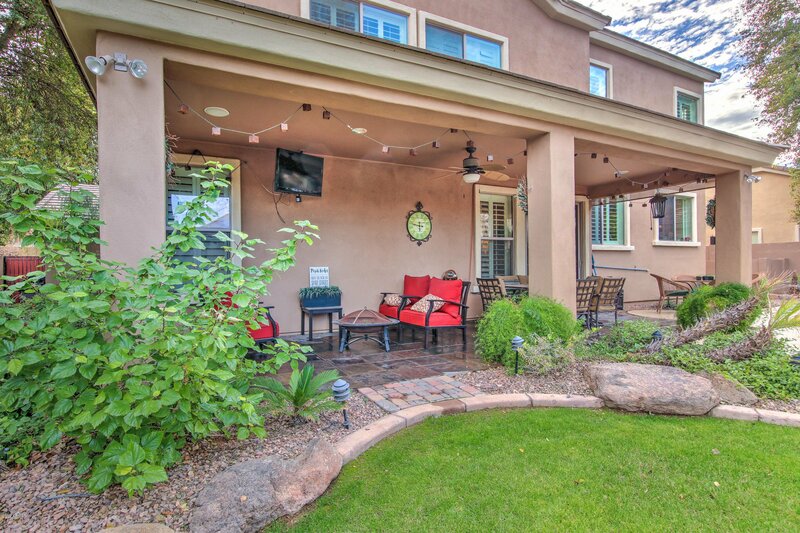 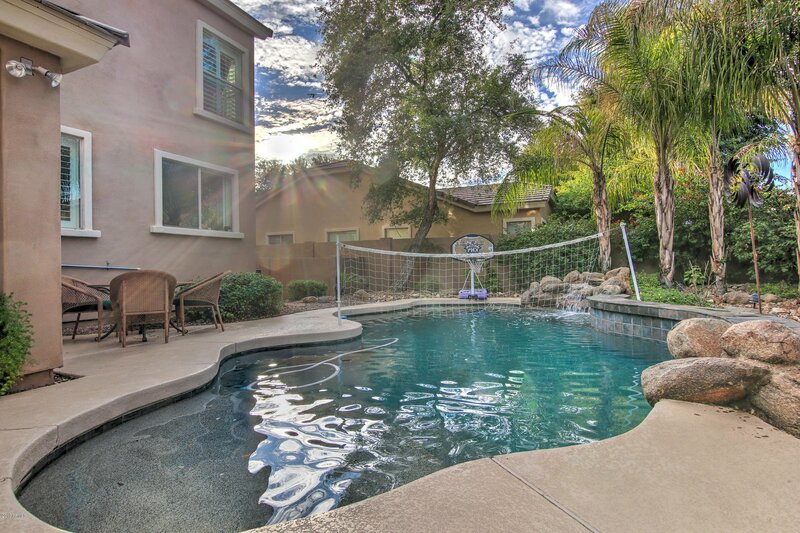 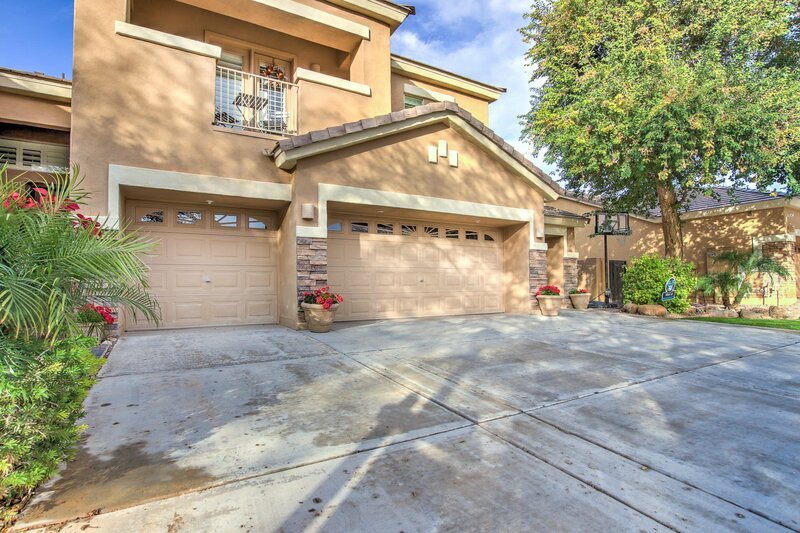 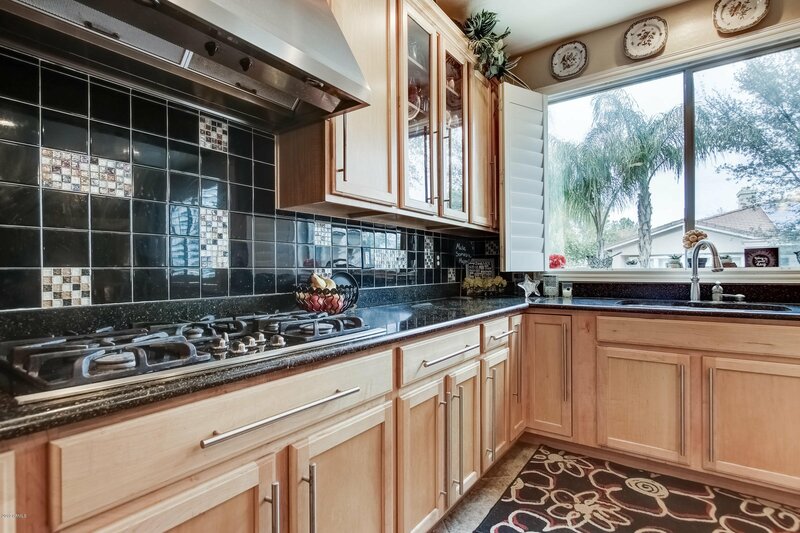 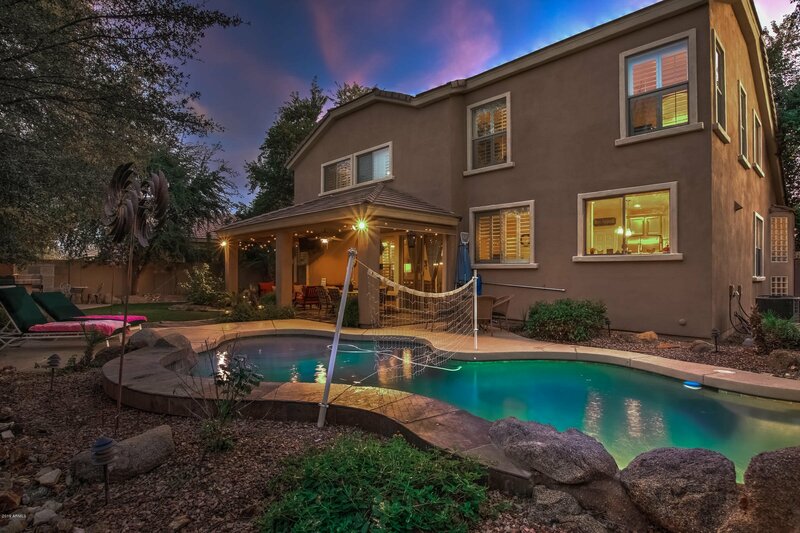 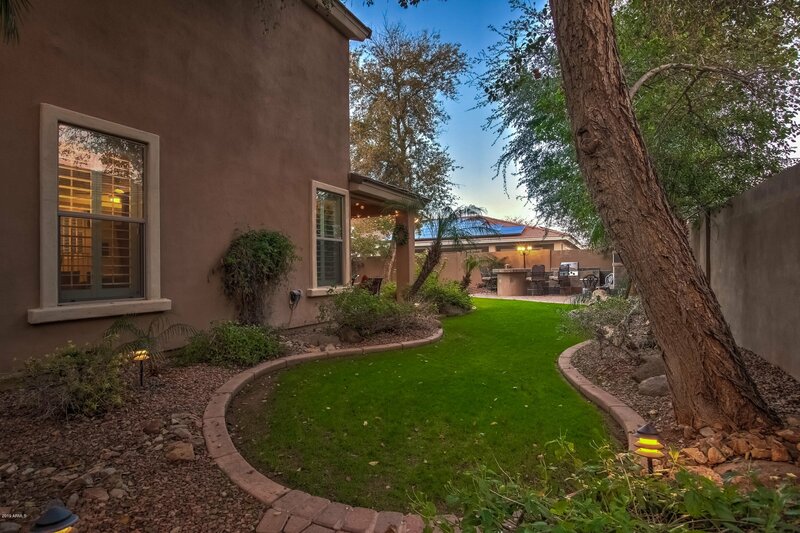 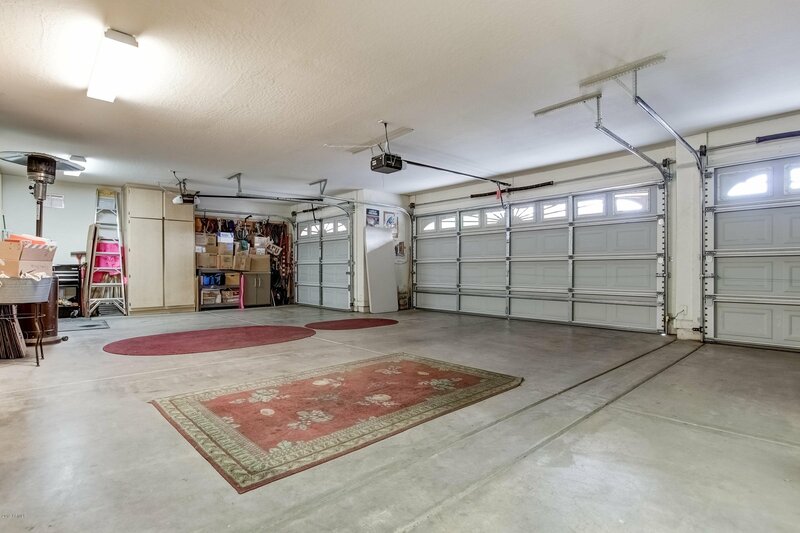 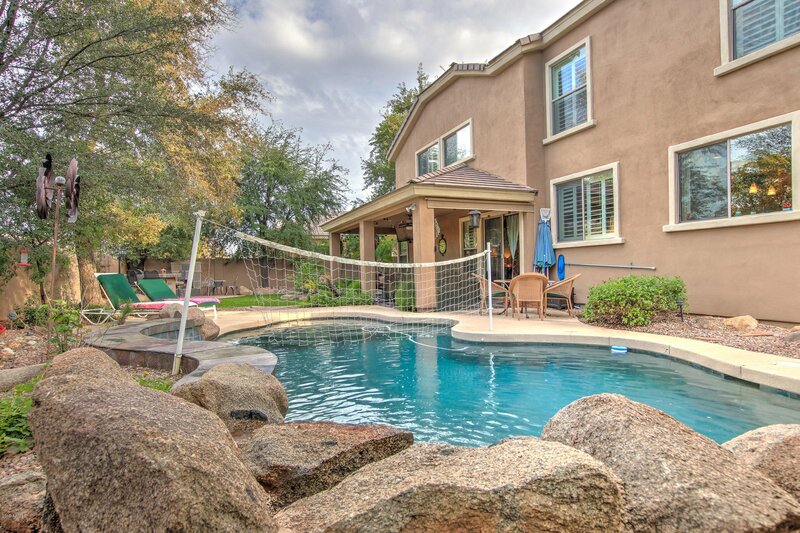 Located in highly sought after Morrison Ranch! 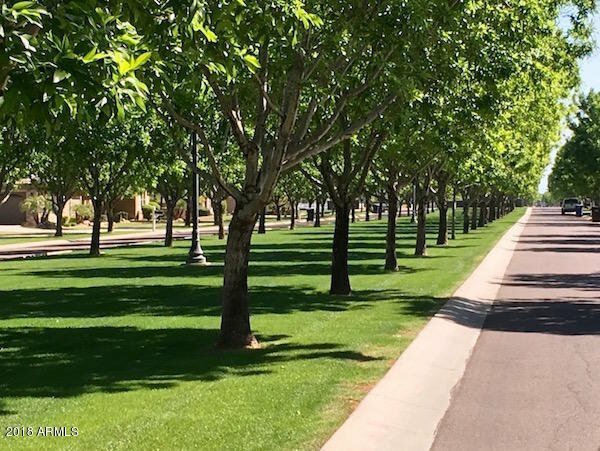 Morrison Ranch is a 3,000 acre master-planned community unlike any other in the metro-Phoenix area. 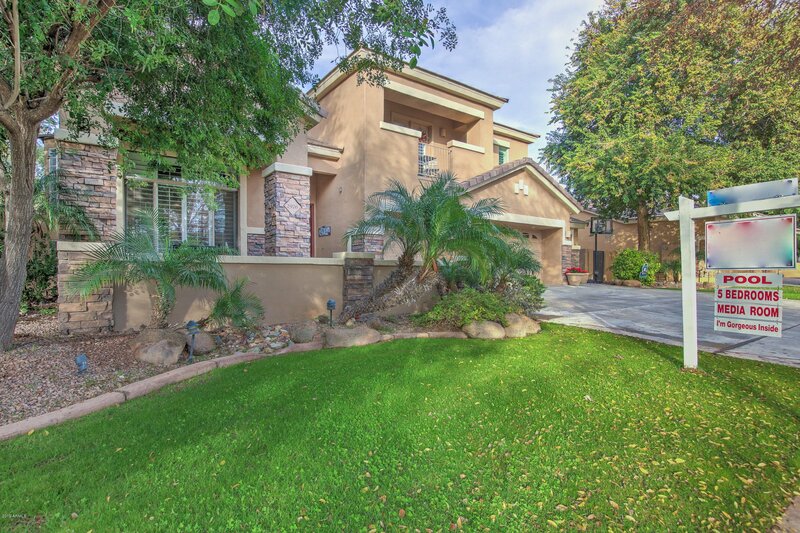 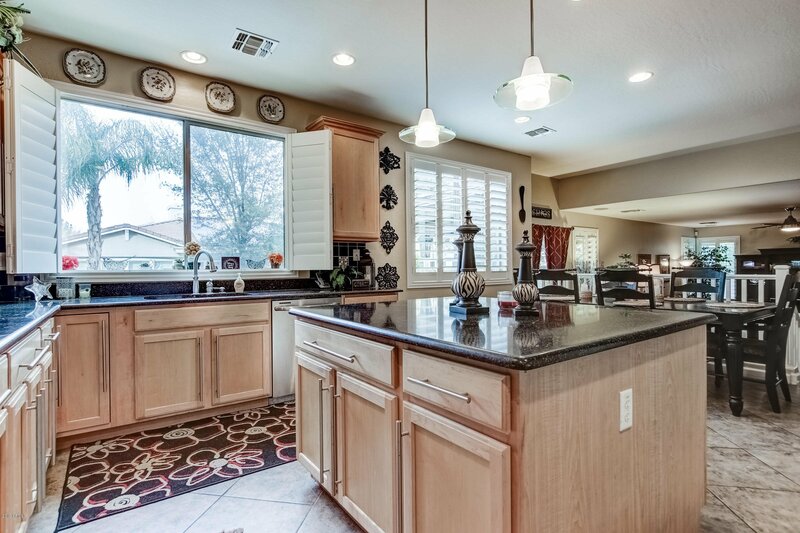 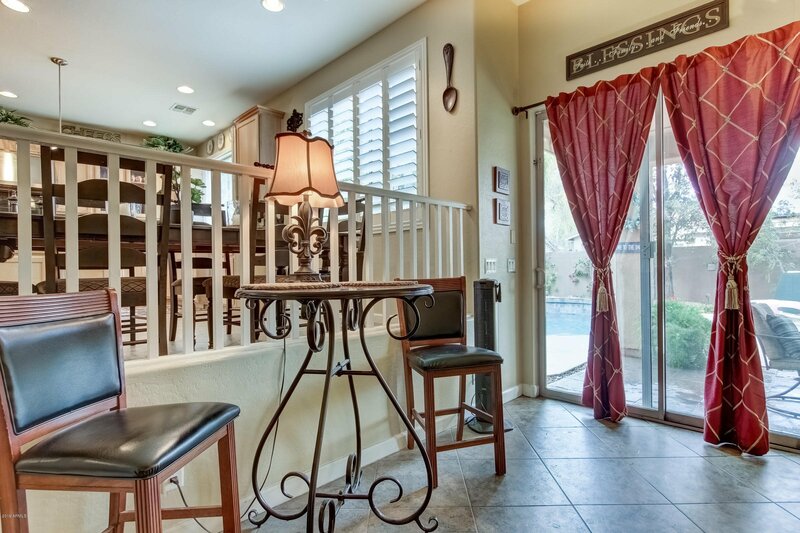 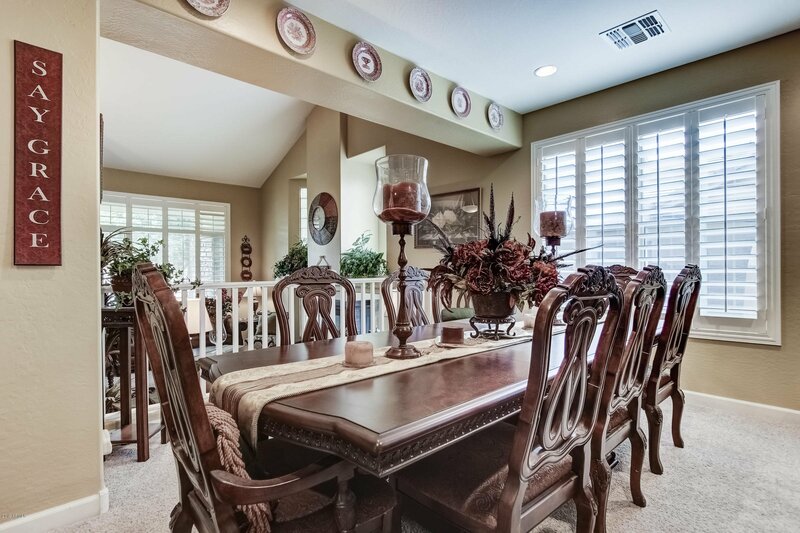 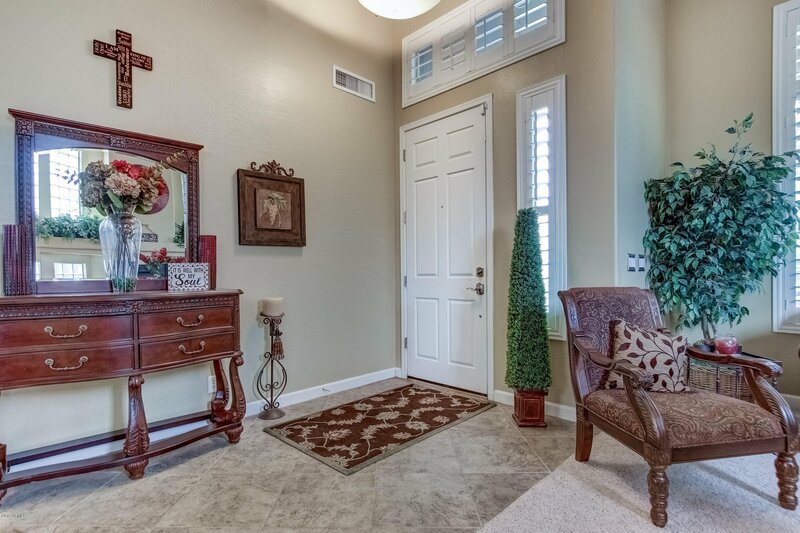 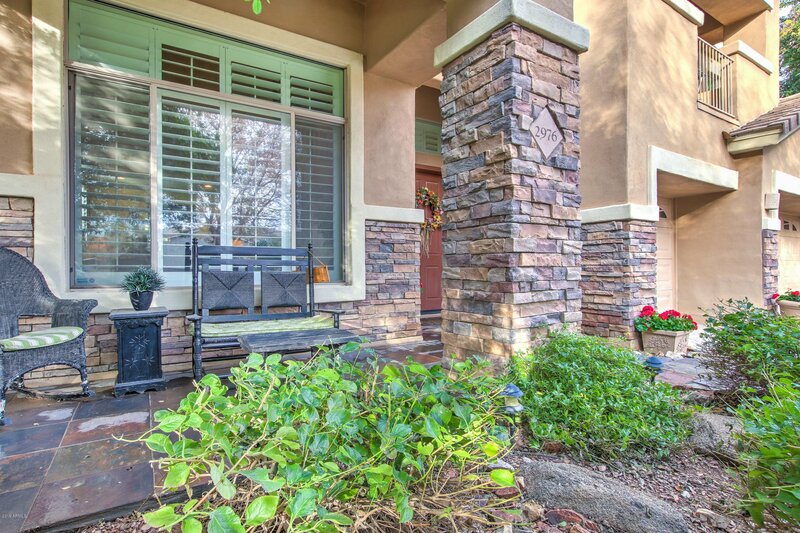 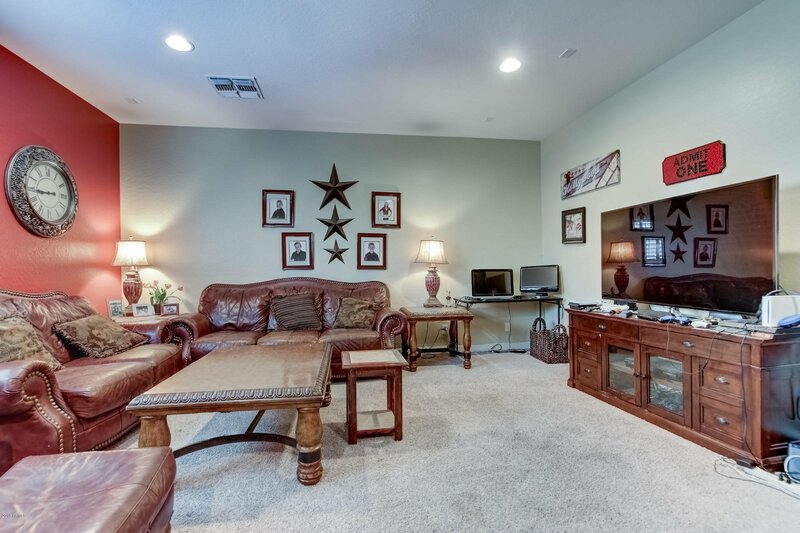 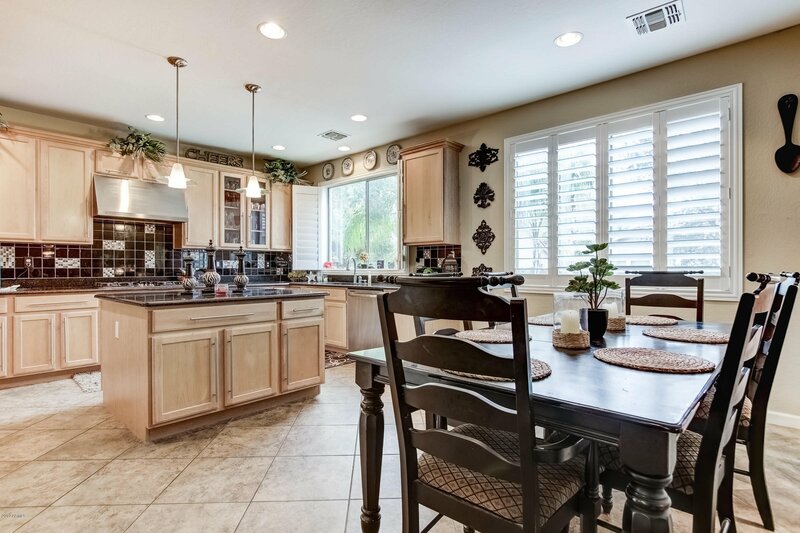 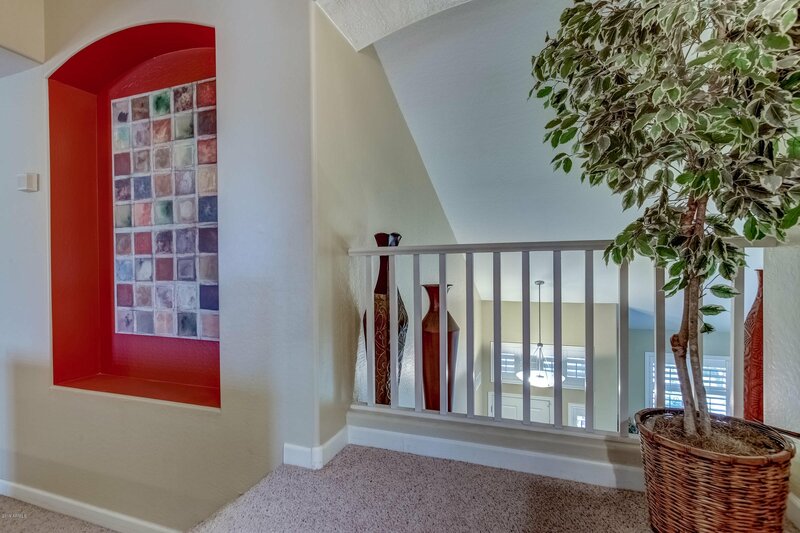 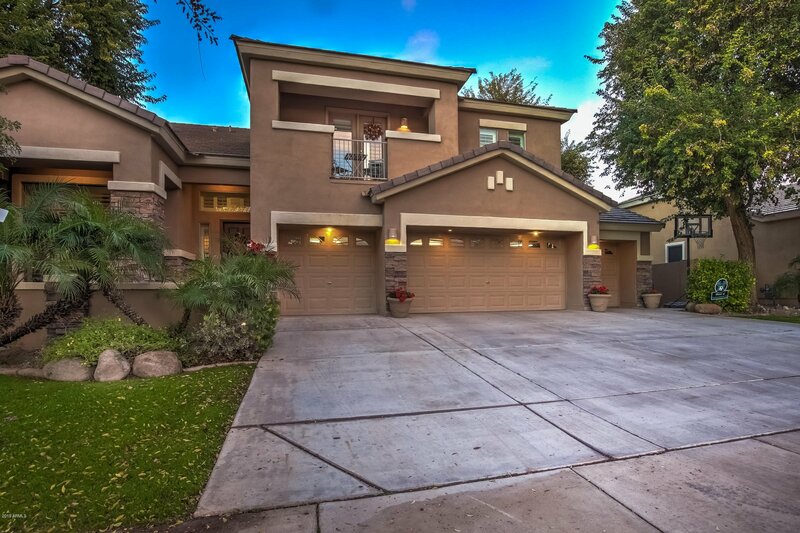 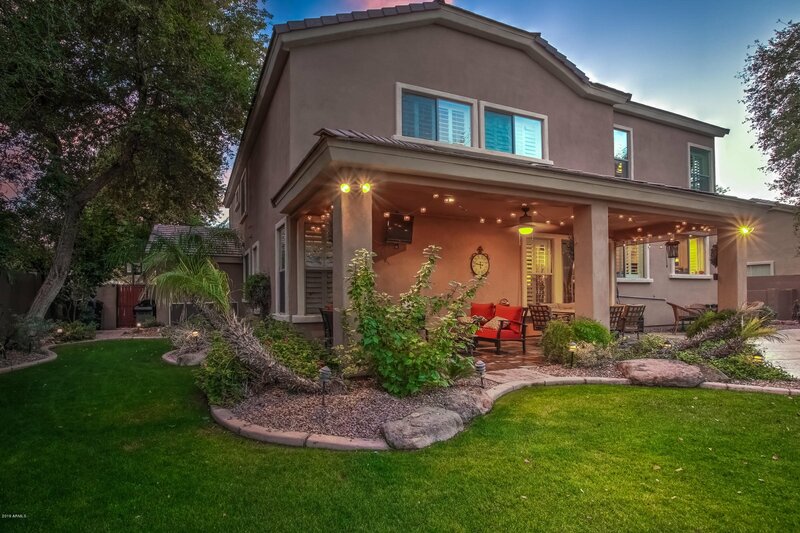 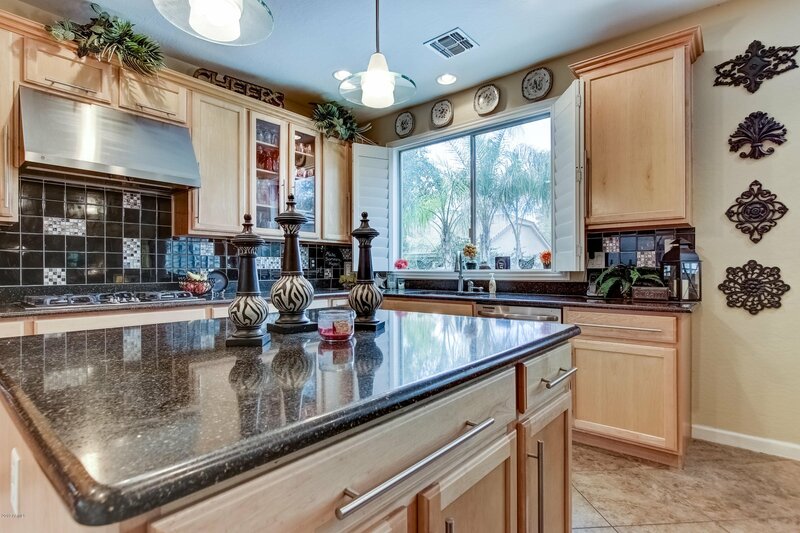 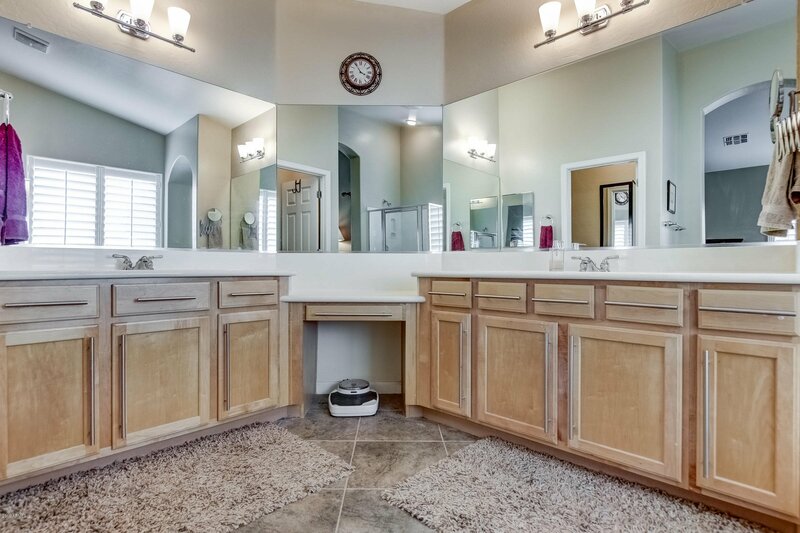 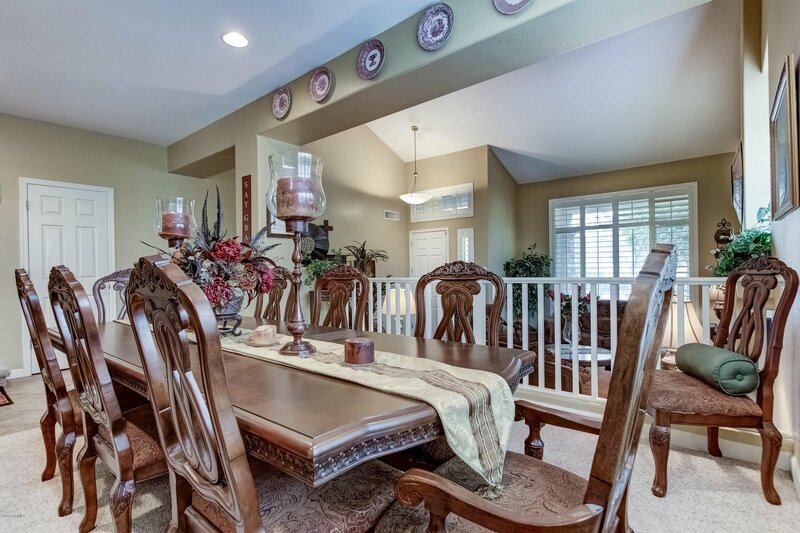 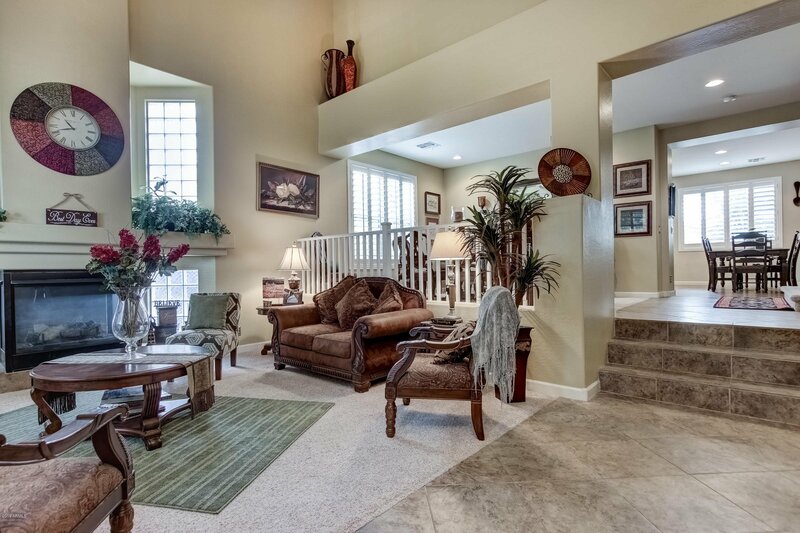 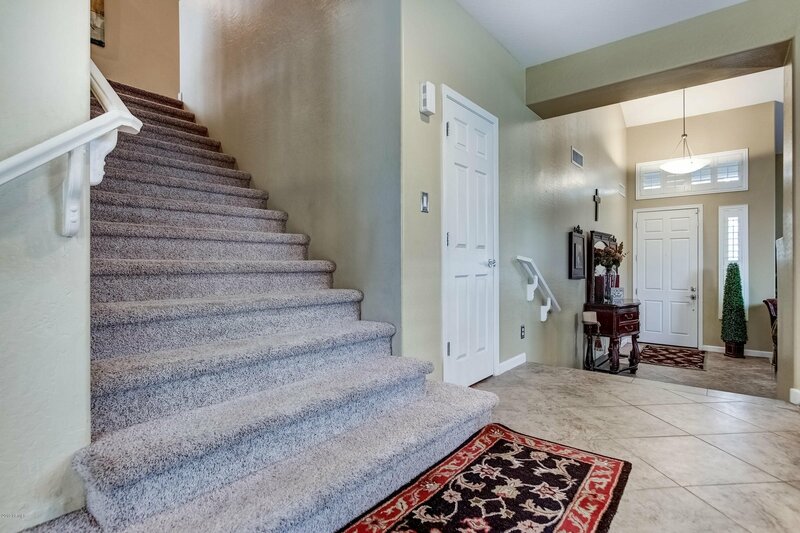 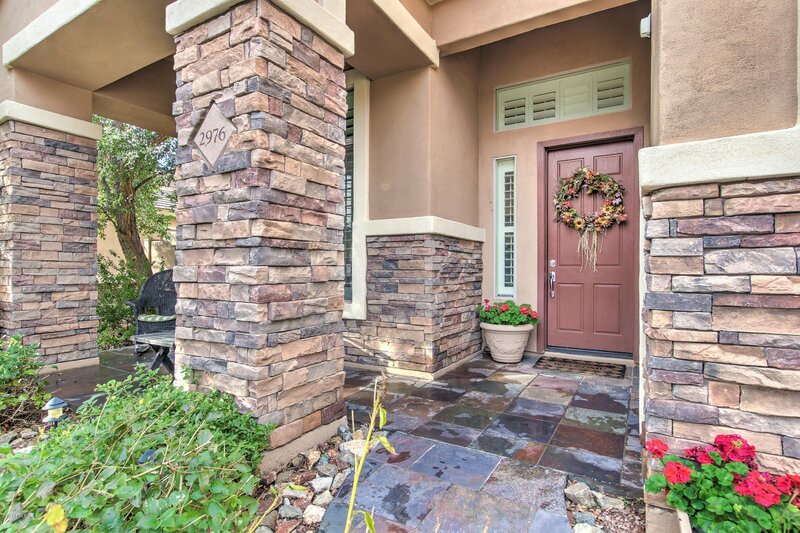 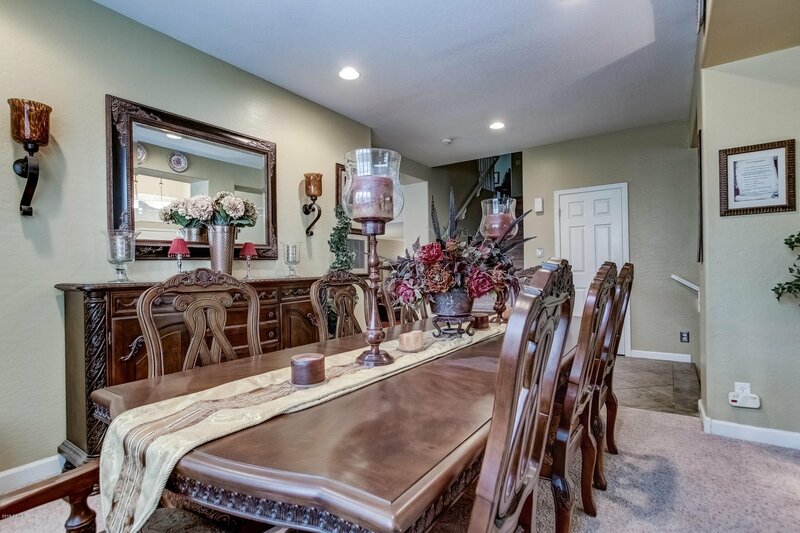 This Higley Estates home is located in Morrison Ranch! 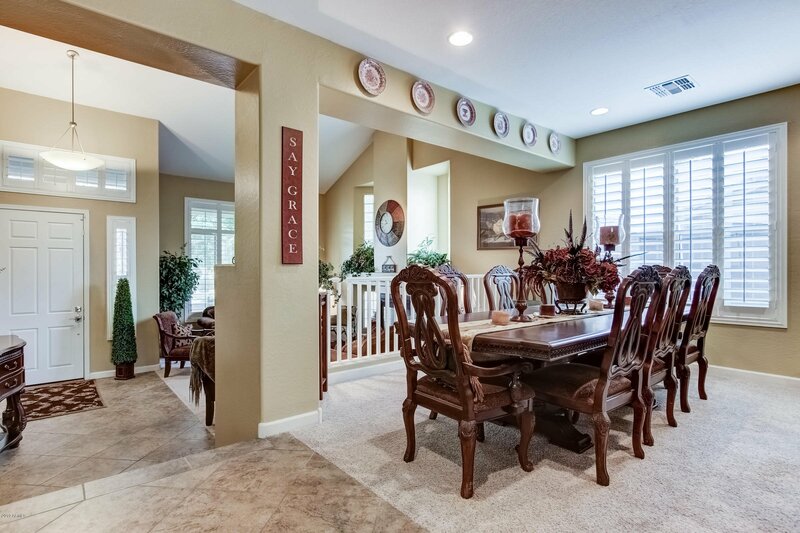 Higley Estates covers more than 100 acres and has four interior parks, with one tot lot. 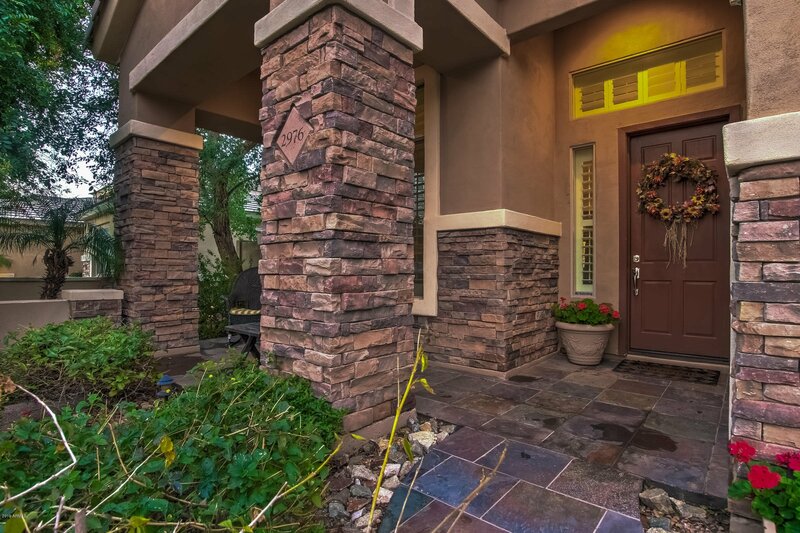 Of all the communities in Morrison Ranch, Higley Estates offers the largest residential lots available in Morrison Ranch, ranging from 10,000 square feet to 1 acre! 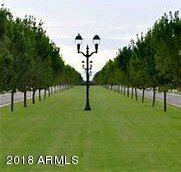 It has white picket fences, mailboxes, sidewalks, street lanterns, mature trees, parks, walking distance to Elementary and Jr. High schools! 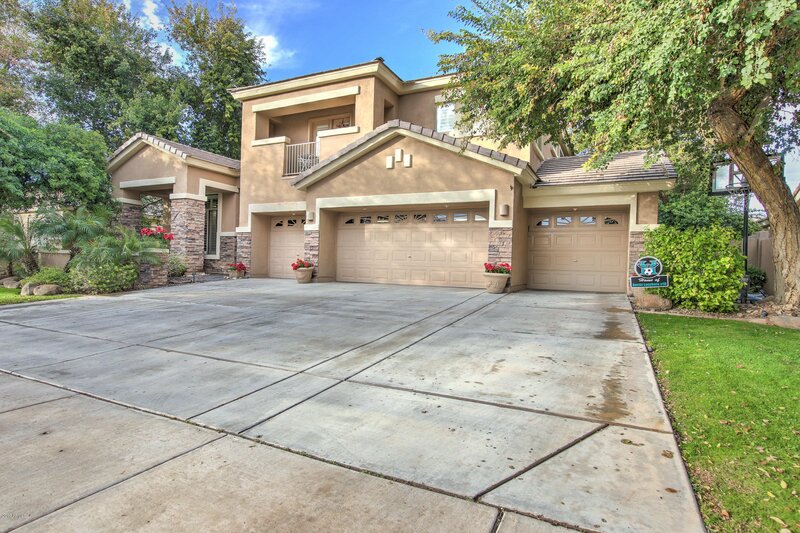 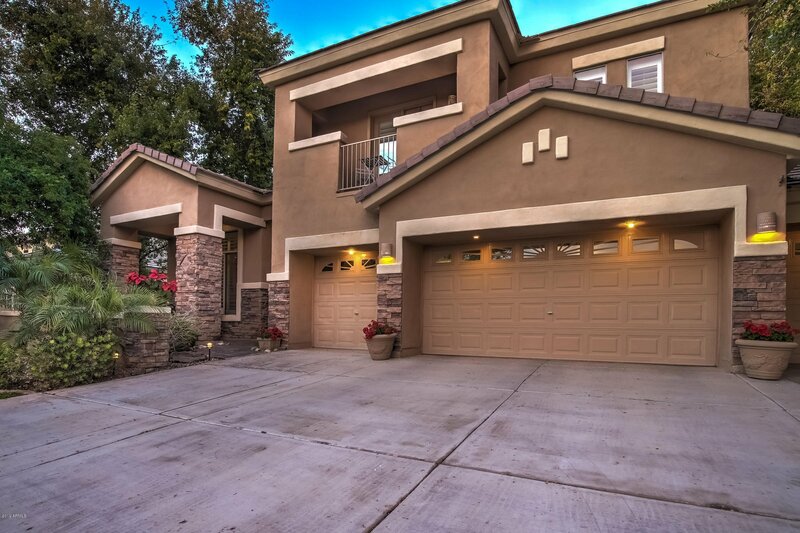 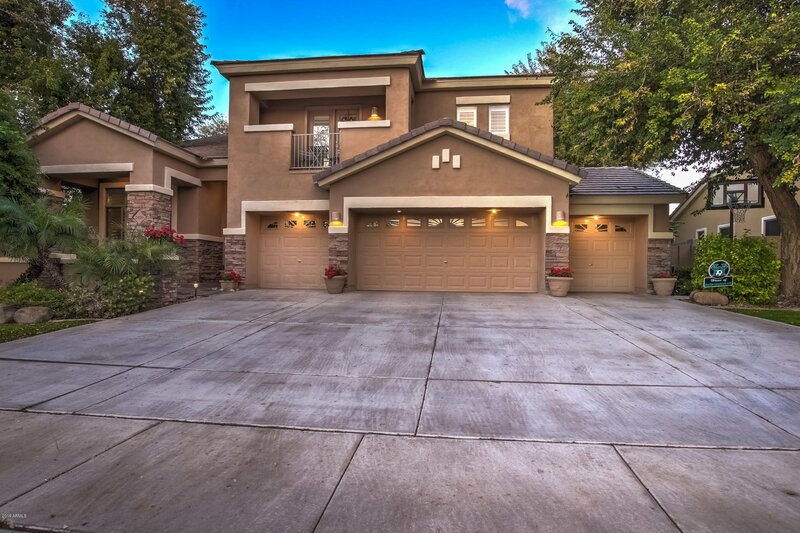 Come see the pride of ownership in this beautiful home located in an amazing community!